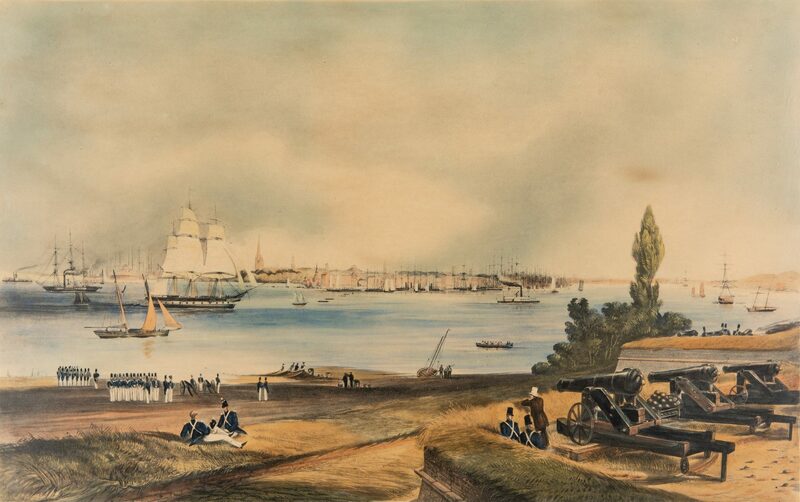 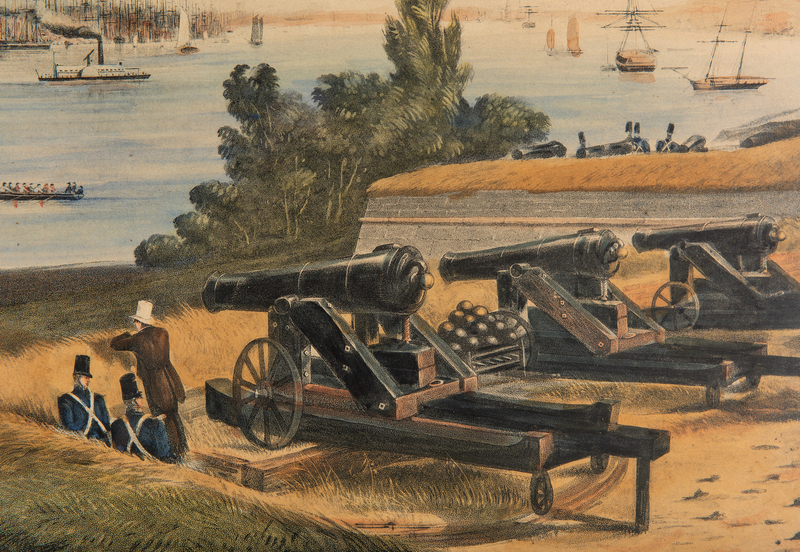 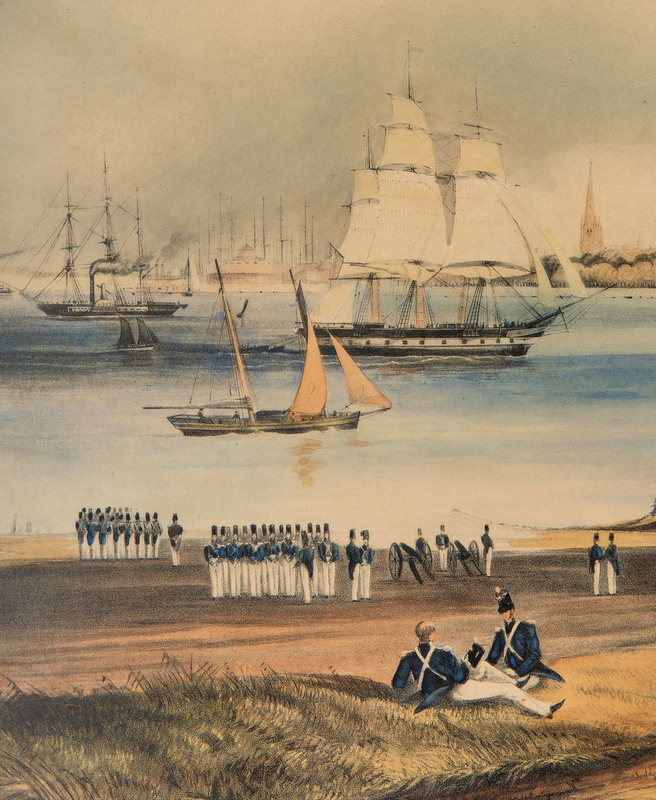 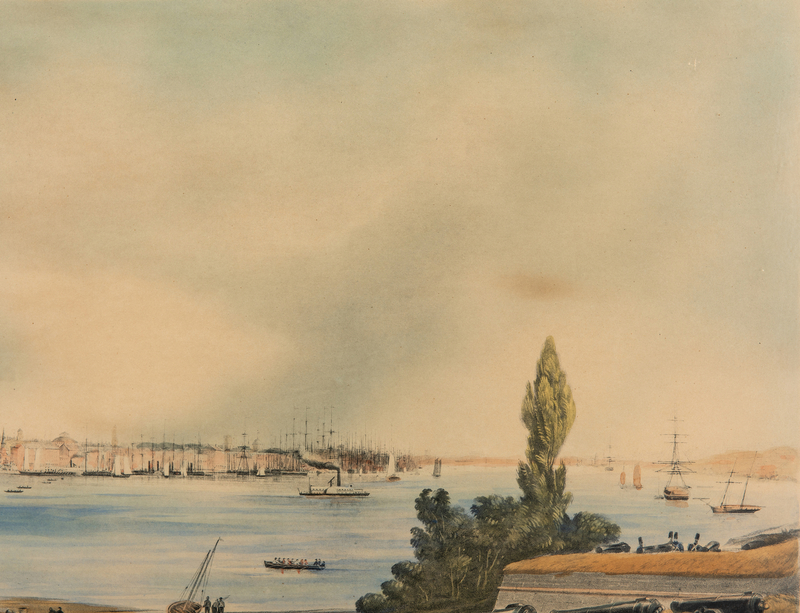 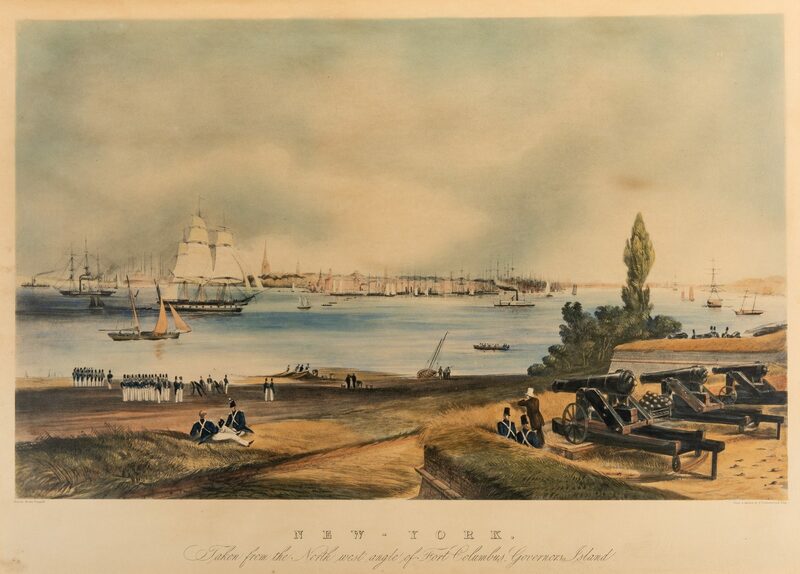 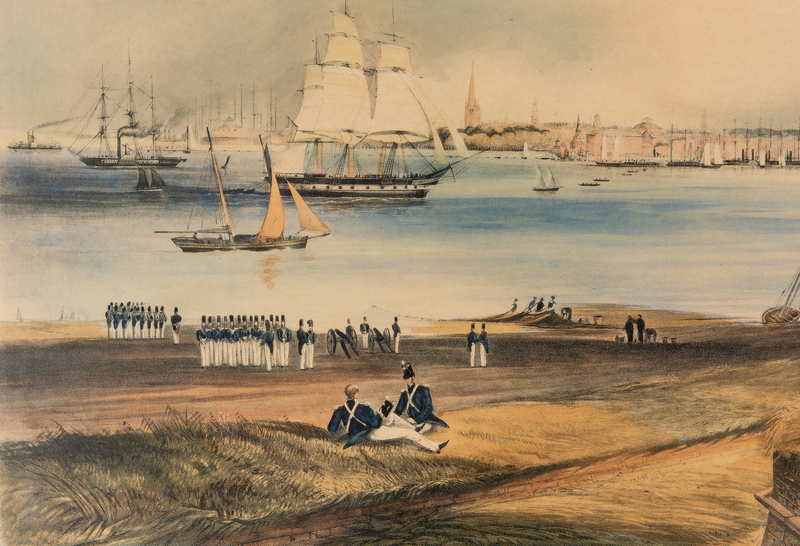 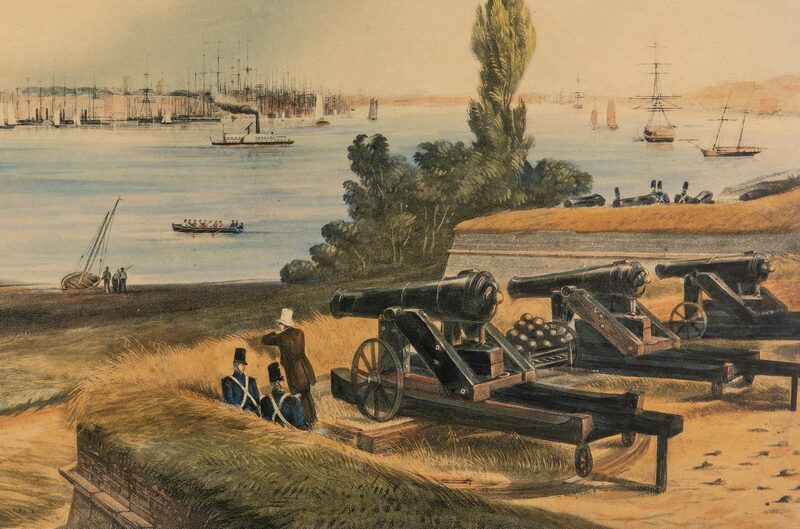 View of New York, aquatint, titled "New-York: Taken from the North West Angle of Fort Columbus, Governors Island" from the original sketch by Frederick Caitherwood, engraved by Henry Papprill, 1846. Depicts a view of Lower Manhattan from Governer's Island. 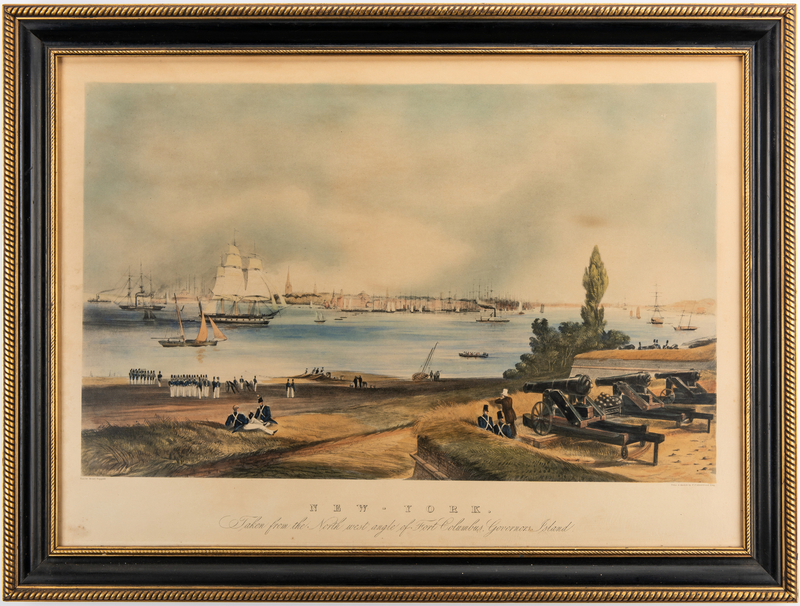 Housed in an ebonized and partial gilt wood frame. 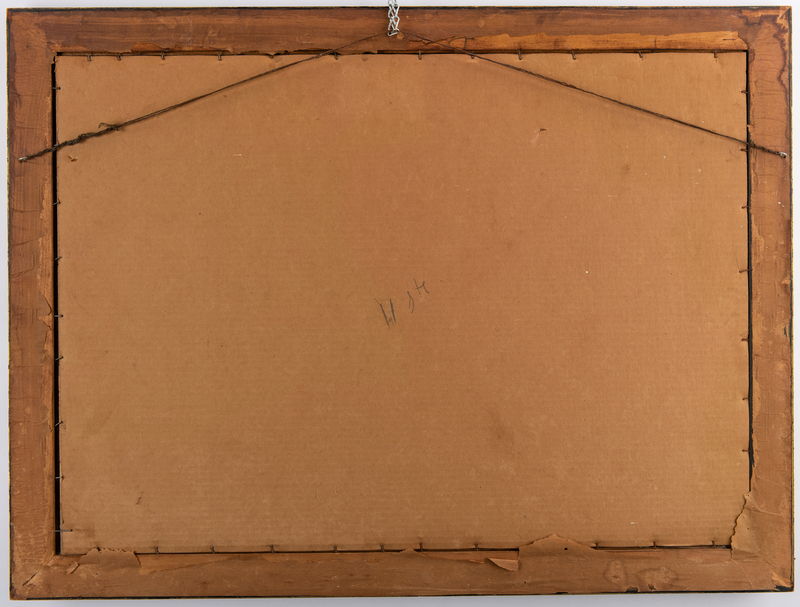 Sight – 22 5/8" H x 31 5/8" W. Framed – 27 3/8" H x 36 3/8" W. American, late 19th/early 20th century. 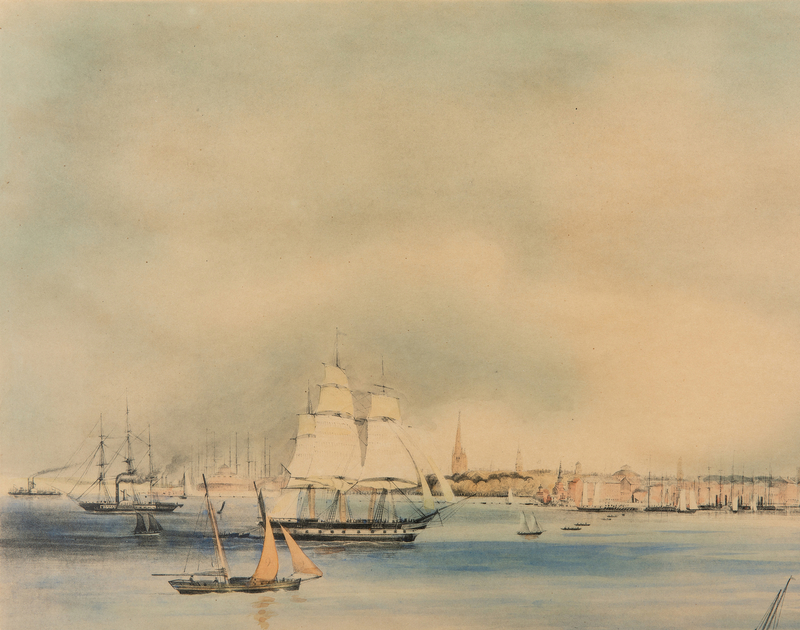 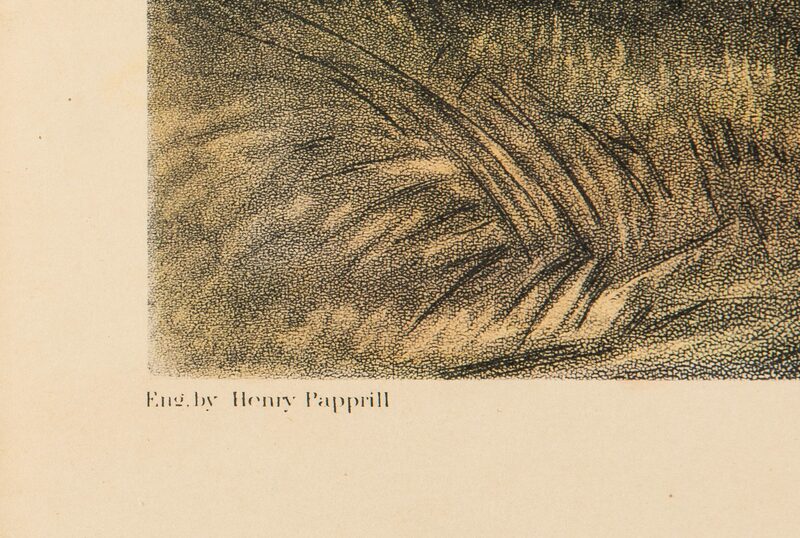 Note: The New York Historical Society holds the original 1846 plate, from which restrikes have been made. Provenance: Estate of Martha Lyman, Dayton, TN. 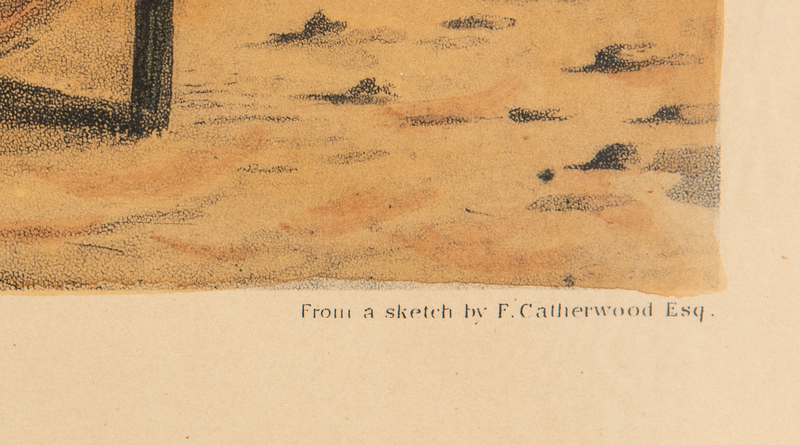 CONDITION: Some light toning and scattered spotting, minor abrasions to the frame.